Near the center of Arizona, northwest of Phoenix, the country rises from the desert into the rough, rugged Bradshaw Mountains. This is where Francis Norwood Bard set out in 1940 to develop a cow herd that could thrive in such a tough environment. 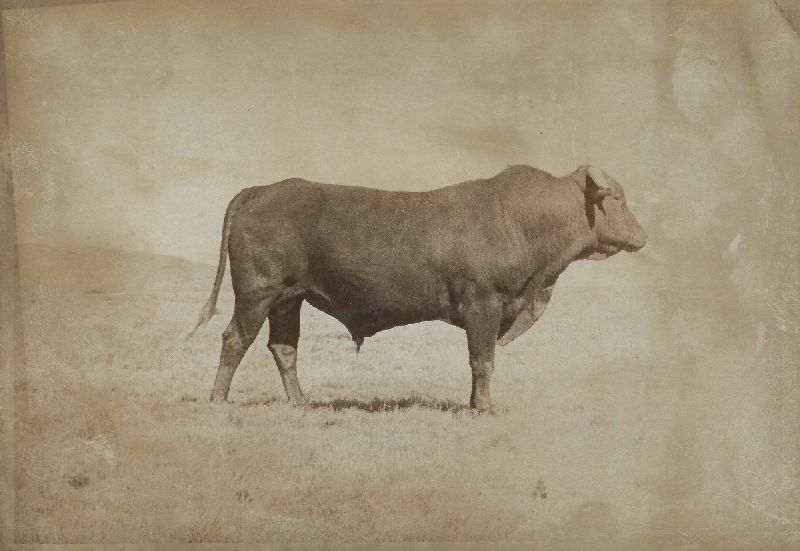 At this time he purchased a load of King Ranch bulls, both Santa Gertrudis and Africanders, to breed to the native cows. In 1942 he bought a herd of purebred, unregistered, mountain-raised Hereford cows. 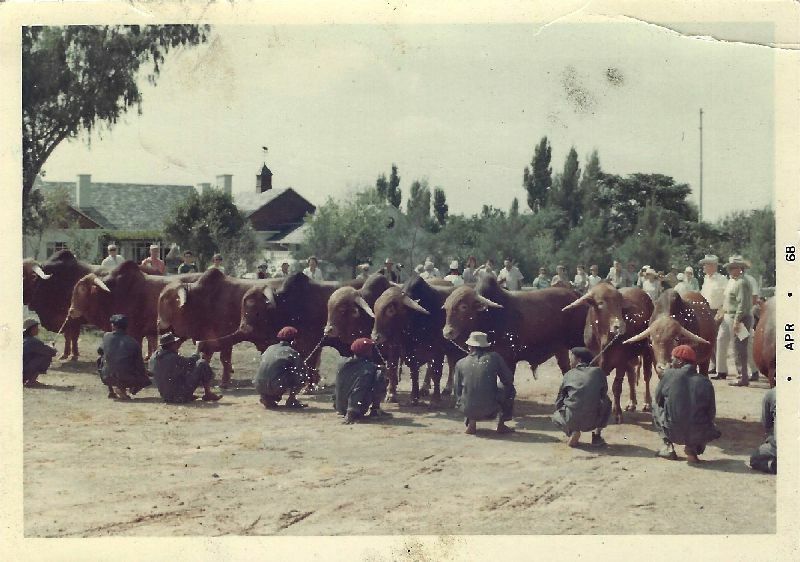 He was intrigued with the results of the Africander cross calves but had to wait until the end of World War II before being able start a concentrated breeding program. 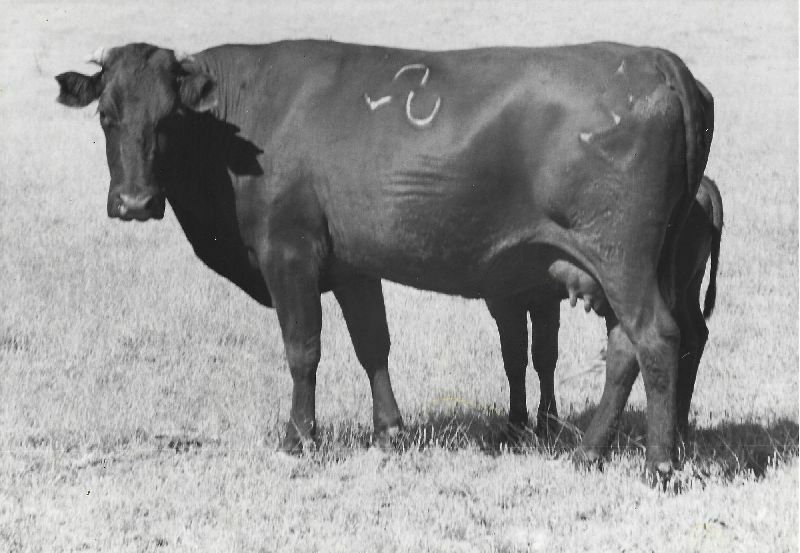 In 1945 Bard employed Elliott S. (Jack) Humphrey to head his breeding program with instructions to find a breed or make a breed of cattle that, with the same number, on the same range, will produce more pounds of good sellable beef. Thus began an association that lasted twenty years. 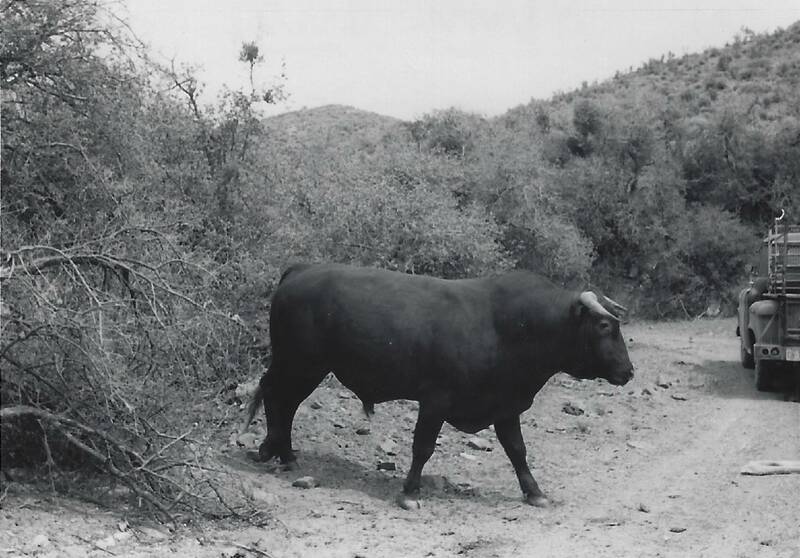 Humphrey's knowledge of the ranching business combined with Bard's business sense and background in agriculture provided the bedrock of the development of Barzona cattle. They started with the premise that cattle and the traits that allow them to survive and produce marketable beef on a regular and profitable basis, must match or be compatible with their environment. Humphrey spent months researching the vegetation, stock water, climate and actual type and lay of the land. Weather conditions were variable and included long periods of drought, very wet spells and snow in the higher country. Temperatures varied from the teens in the winter to over 115 degrees in the summer on the 400 square mile area. Bard and Humphrey determined that for cattle to cope with this environment they had to be of a hardy nature, able to take care of themselves and that certain characteristics were needed: natural fertility, good mothering instinct, milking ability, aggressive breeding habits, feet and legs to handle tough country, ability to utilize excess of browse, wild type grazing habits, easy calving, heat tolerance, insect tolerance, medium size with the conformation of a profitable beef animal. They decided that no single existing breed would be able to do the necessary job for them and that they could only develop the desired characteristics through careful blending of genes from several breeds. The breeds selected to form the genetic pool were Hereford, Angus, Africander and Santa Gertrudis. The breed was built on the Hereford cows previously purchased and daughters from the Afrikander crosses on these cows. From the Hereford they specifically wanted early maturity, hindquarters, close sheath and ability to thrive on the range. From the Angus they wanted good carcass and marbling characteristics, small calf at birth followed by rich milk and good hindquarters, a Zebu-Angus bull was chosen. Wanted from the Africander were good milk production, ability for high browse utilization, small calf at birth, hide, pigment and hair coat for heat and insect tolerance, close sheath, body depth and genes for marbling without excessive back fat. Santa Gertrudis bulls were chosen for their Shorthorn genetics. It was felt that three-eighths Brahma blood in the Santa Gertrudis was good from the standpoint of browse utilization, hair and hide, small calf at birth and good milking ability. This completed the infusion of blood into the genetic pool and the Barzona breed was slowly developed by careful planned matings to blend these different breeds and fix the desired characteristics. No outside blood was added to the herd after 1955. After the second cross, breed percentages were no longer factored into the breeding program. It became clear that the only important factor was the performance of the individual cow, her ability to reproduce annually and raise a salable calf that would be competitive from weaning clear to the rail. Thus, the Barzona breed became the only breed developed in the US to be established through the dam line, based solely on performance. The Bos Indicus factor slowly became eliminated due to undesireable traits such as low fertility, late maturity, and excessive leather. The Sanga, or Africander traits were concentrated on to maintain the sub-tropical effects of the breed's hardiness. 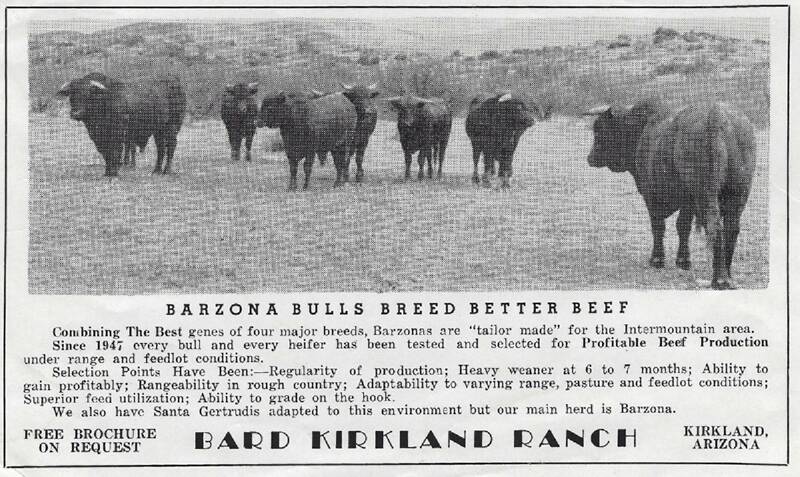 Bard and Humphrey's dedication to keeping records and performance data and their unmerciful selection pressure on the cattle for the desired traits and culling those animals that did not measure up to their standards is responsible for the built-in quality of today's Barzona cattle. 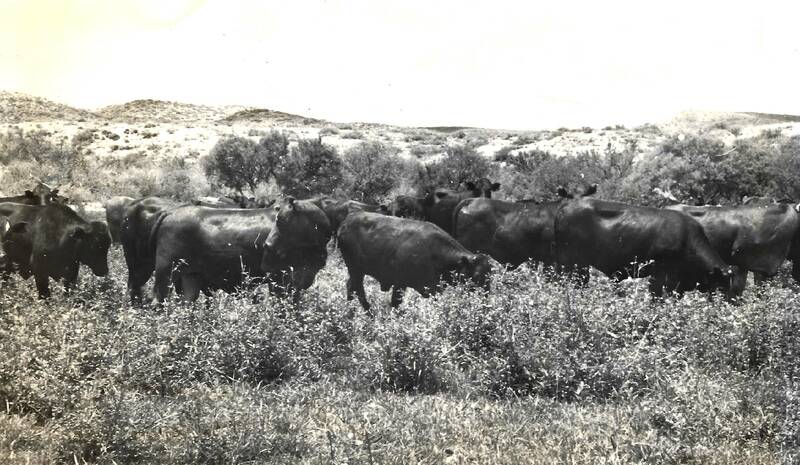 By 1968, Barzona cattle were genetically recognized as an established breed, were well accepted by feeders and packers and the bulls were in demand by commercial ranchers for use in crossbreeding programs. As increasing numbers of cattlemen were becoming interested in having purebred herds, the need for a breed association was apparent. 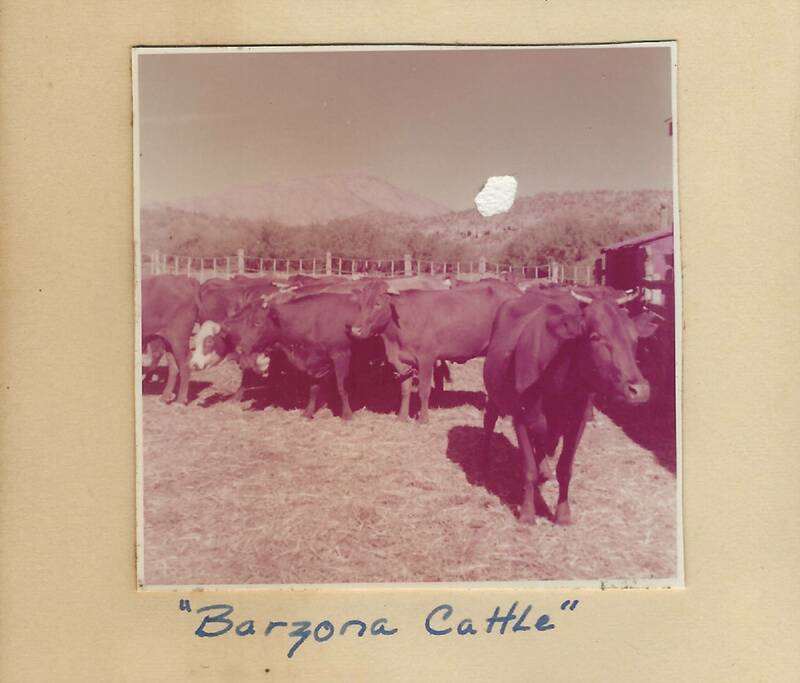 In January 1968 the Barzona Breeders Association of America was formed in Phoenix, Arizona. 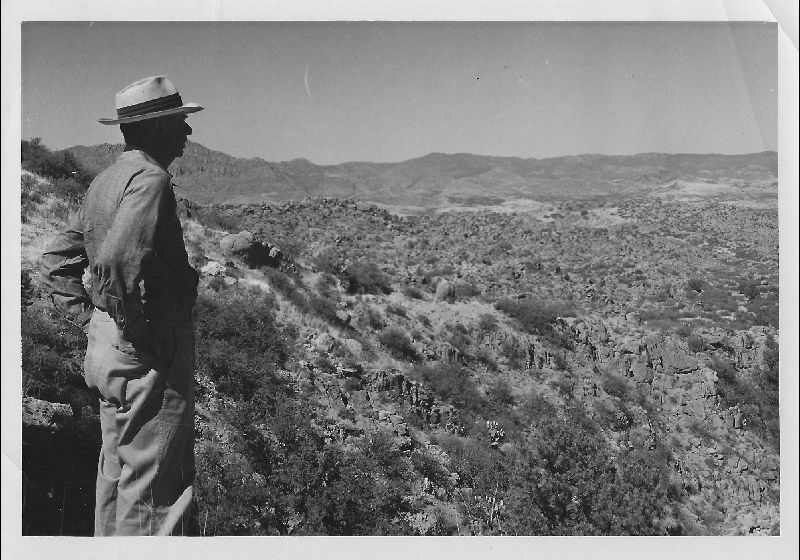 Francis Bard passed away in Wickenburg, Arizona, in January 1970. Mrs. Bard managed the business until 1973 when it became necessary to liquidate the ranch. The Bard-Kirkland ranch was sold and the entire foundation herd of Barzonas was dispersed. The cattle went to a few serious breeders who were dedicated to their continued development and improvement. With Barzonas in the hands of these practical cattlemen, supported by a well organized and active association, the stage was set for this breed to go ahead and make a substantial contribution to the beef industry in America.